We'd had grand plans to go up to London tonight for dinner with friends, but I've been feeling really rotten for the last couple of days and spent most of yesterday laying low in bed, so we ended up having to cancel. As a consolation prize, I bought myself the special yogurt, which is not really so much a "yogurt" as it is a liquified chocolate bar in a small pot. Look, here is a picture of it so you can see how wild and untamed I really am. I mean, come on, "a milk chocolate dessert with milk chocolate buttons"? That's two mentions of milk chocolate, in case you're counting, which I think we can all agree is pushing the boat out a little, even for New Year's Eve. Because I am feeling sort of crummy, and because I delight in the usual sort of list-making and stock-taking that runs rampant this time of year, I thought I might attempt that question-and-answer thing I did last year. If this sort of self-conscious navel-gazing is not really your thing, I won't be offended in the least if you skip it, and I will instead send you over to this Guardian story about the Worst Ideas of 2012, which is the most entertaining end-of-year wrap up I've read over the last few days and will hopefully fill the time until your own fireworks start and/or you have to put on a sequined dress and go out and drink champagne and kiss strangers. If any of these questions tickles your fancy, feel free to answer in the comments so I can see what you've been up to too. Had an article published in a national magazine. Met Evan Dando. Survived having seven children in my house at one time. Changed clothes in a public place. Went to Graceland. Finally stopped decorating my living room. Played croquet. Found the most perfect picnic spot in San Francisco. Quit Diet Coke and artificial sweeteners. Renovated a bathroom. Went to a football game. Discovered a natural-looking nail polish color. Zumba. 2. Did you keep your new year's resolutions and will you make any for next year? Last year, I resolved not to make any resolutions—easier not to break them, which I invariably do by February—and instead just to "work hard, be kind, and let things happen." I definitely did the first and the last, and I'd like to hope I did the middle one too, so maybe I'll just go ahead and make that my resolution for 2013 as well. Ah what the hell, I'm feeling hopeful; let's amend it to "work hard, be kind, let things happen, and go to the gym more." My friend Leah had the most adorable chunky monkey in July, whose cheeks I have to physically restrain myself from sandwiching between my palms and squidging whenever I see him. Also Reese Witherspoon, but I suspect we are only besties in my head. No, thank goodness. Knock on wood, salt over the left shoulder, etcetera. England twice. It was a bigger year for US travel; I went to Salt Lake City, Boulder, Denver, Breckenridge, Lake Tahoe, Knoxville, Memphis, Nashville, Minneapolis, Big Sky, Yellowstone, Pyramid Lake, the Big Island of Hawaii, Palm Springs, New York, Connecticut, a tiny bit of Massachusetts, and Portland, Maine. Also San Diego a bunch of times to see my parents. More time for this blog. I have very, very little interest in "building my brand" or any of that malarkey, I just really enjoy having a creative outlet of my own to write the things I feel like writing when I feel like writing them. My job has kept me incredibly busy this year, and has used up a lot of the ooh-I-feel-like-writing headspace that I used to have left over for my blog. I'd like to get a bit more of that back in 2013 and gain back a little of the inclination (and the inspiration) to write more. You know, I cannot remember a single one. This is why I have a day planner. This is going to sound silly, but I worked really, really, really hard at my job this year. Like, I'm starting to think that maybe I never worked that hard at any of my other jobs because I definitely never left them feeling as exhausted and satisfied as I do at the end of every day now. Most evenings, I feel like I've gone ten rounds in the ring with Mike Tyson, except I've been fighting him with my brain, and also I've been blindfolded, and also he's had a back-up team of ten other guys while I've only had one of those kindly white-haired old coaches you see in boxing movies who holds my mouth open and pours water into it occasionally. In May, I went to England, ostensibly to research a book I wanted to write. I took pages and pages and pages of notes, got super fired up about it, came back to the states with my head full of ideas and dreams of complicated post-it-notes-on-posterboard plot outlines, and then......nothing. I did absolutely nothing. I didn't even buy any post-it notes. I didn't even steal any post-it notes from the stationary cupboard at work. Major fail. Hmm, apart from a weird 24-hour thing at the beginning of the year and my current low-level malaise, not really, no. Probably my ticket for my impromptu trip to Knoxville in February. Although I haven't tried that chocolate buttons yogurt yet, so my answer may still change. I kept getting sent all these 40% off coupons for the Gap! It was crazy! I bought, like, three sweaters for $12 at one point! "Bright Whites" by Kishi Bashi. "Lights Are Changing" by the Bevis Frond. "Wetsuit" by the Vaccines. "Another Girl, Another Planet" by the Only Ones. "Salvation" by Langhorne Slim and the Law. "Baby Lee" by Teenage Fanclub. Happier and fatter. Maybe a little richer, thanks to those 40% off coupons. Eh, I suppose I should say "exercise" or something, but I was actually a lot better about exercising this year, and you know, in general, I just I had a very satisfying year. I'm really pleased with how it turned out. I feel really happy and content, which I realize is a very, very short distance from "smug and annoying," a state I hope to never accidentally cross into, but I can't think of anything right now that I wish I'd done more of. Oh okay, I guess there's always room for more exercise. Commuting. Worrying. Having a short fuse. With my family in San Diego, yet again ruing the fact that I decided to wrap my presents in kraft paper. Do I never learn? Every year I do this, expecting them to look all understated and hip and cute, and every single year they look like hastily-made care packages from World War Two. Arrested Development, ten years after everyone else. I also really loved this season of Mad Men. Oooh, I did a post about this last year and I have a similar one brewing for this year, but for now I'd say it's a tie between The Sense of An Ending by Julian Barnes and The Fault In Our Stars by John Green. So basically, any book with five words in the title, the first word being "the," which was written by a man whose name begins with a J. Only two of those songs are actually technically from this year, but my answer to question 14 still stands. I think maybe....Argo? I can't really remember watching anything else, although I know I did. Why, what did you watch? I probably should have watched that. I was 32 and....wow, what did I do? I worked from home, and then we had champagne and went out for dinner, I think. I wore a leather jacket that I wish I'd appreciated more, because a few months later it got stolen out of the back of my car. Sean wrapped up a tire and gave it to me, and then later he built me a tire swing. A shorter work commute. Hands down. Sweaters from Gap that were purchased for 40% off? I don't know, does anyone actually answer this question seriously? "Well, Internet, it's a tie between peplum and the maxi skirt, to be honest, although I did have to think long and hard about eliminating the arm party as my personal fashion concept of 2012." Sean. That man is a human Xanax. Sometimes he does this thing where he's like "Squeeze my finger as hard as you are annoyed.....come on, that's all? You can't squeeze it harder? Huh, you're obviously not that annoy---OWWWWWW, okay, okay. Well, do you at least feel better?" It all works out in the end. This is basically the same lesson I learned in 2011, but you know, I really don't think you can learn it enough. I like your question and answer thingy. Happy 2013 to you. not only is it special yoghurt but it's Cadbury Dairy Milk! swoon. my family + friends are all required to fill all empty nooks + crannies in their luggage with any and all cadburys on their way back to the States from the UK. no questions. wishes for a shorter commute, sean-supported and Gap coupon filled 2013! Please write a book! I would totally read it! (No pressure)...Happy New Year! I'm excited about that yogurt, seriously. That's my kind of celebration. I laughed at the personal fashion concept, because I actually have one, but it's embarrassing. It's the Mom Jeans of fashion concepts. Is it jersey knit? Does it go with leggings? If so, I wore it this year. Happy new year! I'm glad I know you and would love to read this book whenever you get around to writing it. PS - was your Africa trip last year?? I feel like you just went, but perhaps it was 2011. Time flies. This always makes me happy. Mostly cause I can tell how happy you are. Happy New Year! I hope that you do decide to write more because your blog is one of my favorites, and I'm always excited when I see a new post from you. Feel better. I am amazed at how much traveling you did. I think the farthest I went from my house was about 3 hours away for two days. Note to self: go more places. Also love your writing and would love to see a book (no pressure). happy new bright and shiny 2013! i really hope you find more time to write for this blog, as i really enjoy reading your witty, funny and interesting thoughts. have a great start into the new year, may it be a great one! I'm generally a lurker, but I inexplicably feel compelled to tell you that this post cheered me up. You are a legitimately wonderful writer. That is all. Oh, Knoxville. City of Dreams! I went to California for the first time, specifically San Francisco and Monterey. Thanks to your SF suggestions post I think I saw and did a lot, and I ate very well. I also tried snowboarding for the first time and it was so much fun. I wish I travelled more and hope to do that more in 2013. I do the same survey every year, but I am pretty sure your answers are funnier. Hope you have a happy new year and that the special yogurt did not let you down. Cadbury Dairy Milk YOGURT?! Oh my WORD. I recently returned from two years in Sierra Leone, and now know the joys of Dairy Milk denied to those of us who grew up outside the British Commonwealth. I could snag a fruit and nut bar about once a month, and it made my life so much better. Not only was it chocolate, but all that creaminess made up for my dairy-deprived life in the bush. MMMMMMYES.In other words: do you know how to live or do you know how to live? YES ALL OF THE ABOVE. I just wanted to wish you a wonderful 2013! I'm looking forward to more writing of whatever you feel like here, and perhaps a couple of extra naps on my end. Why does it say "dairy milk"? is this a british thing? it seems odd to me, the word dairy right before milk. i don't know though, maybe it's just late. also, and i am so so so so sorry to be a huge jerkface about this. oh god i'm cringing. but it is "stationery", not "stationary". i only have this on my radar because i design stationery. there, i corrected one of my favorite bloggers and i will now never forgive myself. i just really want the world to know about that "E"!! i am truly glad you had what seems a nearly perfect 2012. may 2013 be even more perfect! Also, those Gap 40% off discounts are ruining my life (namely, my bank account). Happy new year...!I'm glad to reading this post. This is excellent! I may have to borrow. What a charmed life you live. I love reading about it. I do hope you get to that book someday. Your writing is lovely. Love this, and am probably stealing the format, because who doesn't love list making? I probably don't want to be friends with them. So glad you had a year that left you happy! Nothing smug about that...I think we should absolutely share more of our joys instead of commiserating over sorrows all the time. 26. my heart is abloom with toasted marshmallows from reading it. Feel better soon! Happy New Year! P.S.2 Your spam filter ate three attempts to comment on the previous post. Please ask your site administrator to review and post whichever one he likes best. 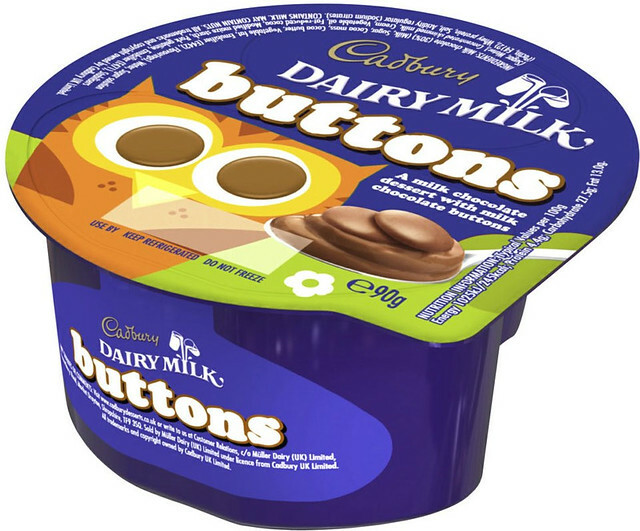 Ok, where did you buy these chocolate buttons cleverly disguised as yogurt? I've never seen anything like it before! Normally I am 100% cool with being single and am not in a rush to get married, have a serious relationship, etc., but the "squeeze my finger" anecdote made my heart squish a little. I love this way to wrap up the year and may have to fill it out for myself. Happy New Year, Holly! Happy New Year! Completely random but I need earplugs due to work being done on my building and I immediately thought "hey didnt holly once do a post about how she wears earplugs to bed???" any brand suggestions? Rachel: Ha! How embarrassing. I always get stationary/stationery wrong, so am glad you caught me out! Maybe now I'll remember for next time! Lauren: Yes, I am an ardent supporter of earplugs! No particular allegiance to any brand, though. I just buy whatever's cheapest at the drugstore. They seem to all be pretty much the same, as far as I can tell. I got melted chocolate ALL over my bedspread and I need to get rid of it before my parents get home from their dinner.